The abduction of two key leaders of a Libyan opposition group with the assistance of MI6 a decade ago left the group in disarray and led to outside influences pushing it towards an Al-Qaeda-inspired agenda, an intelligence assessment concludes. 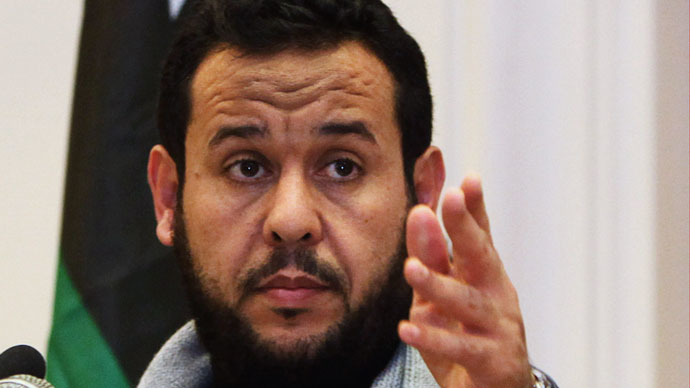 Abdel Hakim Belhaj and Sami al-Saadi made sure that that the Libyan Islamic Fighting Group (LIFG), which they led, concentrated on the overthrow of Colonel Gaddafi. Belhaj and al-Saadi were seized in Thailand and Hong Kong in 2004 and then rendered to Tripoli with Saadi’s wife and four children and Belhaj’s pregnant wife. But a report by MI5 written 11 months later concluded that while their capture weakened the LIFG, it also strengthened al-Qaeda’s hand in the region, The Guardian reports. Two years after this assessment, the LIFG formally joined forces with Al-Qaeda and al-Libi orchestrated a series of deadly suicide attacks across Afghanistan, including one in 2007, which killed 23 people at NATO’s Bagram airfield. The classified MI5 document was found among hundreds of highly sensitive and embarrassing files relating to Libyan and British intelligence operations in official buildings, which had been abandoned during the 2011 revolution that toppled Gaddafi. The document was marked “UK/Libya Eyes Only – Secret,” and explains that in the 1990s, when Gaddafi was considered to be an enemy of Britain, members of the LIFG had been allowed to settle in the UK. Later, when Prime Minister Tony Blair began some cooperation with Gaddafi’s government partly in return for lucrative oil contracts, LIFG members, who had been granted asylum in the UK, were intimidated and put under surveillance. “We are actively investigating key individuals in the UK and are seeking to disrupt their activities,” as part of a new strategy, “for countering the threat from the LIFG to the UK and its allies,” the security assessment reads. The discovery of the documents led to the opening of a criminal investigation into the affair. It is now alleged that both Belhaj and Saadi were beaten, whipped, deprived of sleep and subjected to electric shocks while being detained at Tajoura prison outside Tripoli. After three years of investigation by the Metropolitan Police in an operation codenamed Operation Lydd, detectives decided there was enough evidence to prosecute and handed their report to the Crown Prosecution Service (CPS) last month. Saadi has already received £2.2 million ($3.3 million) in compensation from the British government. Belhaj is also seeking damages but has said he will settle his claim for just £3 ($4.50) if he and his wife receive an apology, but this is unlikely if a formal prosecution begins. The end of Muammar Gaddafi’s 42-year rule over Libya was hastened in 2011 by NATO airstrikes. After a short period of optimism, Libya has now descended into bloody confrontation between armed militias and economic instability.